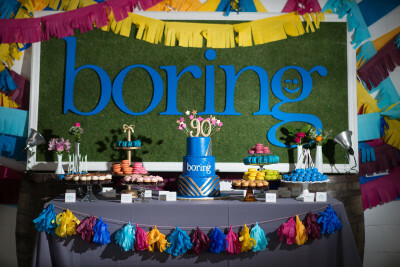 Thanks to everyone that came out on September 24, 2014 to celebrate 90 years with us! We had a blast! We were honored to have over 300 of our friends, family, staff, customers, and community members join us for this momentous occasion. In addition to door prizes, a Boring trivia contest, music from the John Frinzi band, the “Boring Bites” hors d’oeuvres contest, and some truly fabulous food and drink from local businesses and restaurants, we were thrilled to support Parker Street Ministries through our Printer Smash at this event. With your help, we raised $1000 to give to this very worthy cause that does some fantastic work in our community. Special thanks to: Mayor Howard Wiggs, Sherriff Grady Judd, Lakelander Magazine’s Logan Crumpton, Natalie Oldenkamp, Bellos Transportation, Wish Vintage Rentals, Plantz, HP, Xerox, Canon, Konica Minolta, Publix Aprons, Tony’s Studio B, Mahan’s Eatery, the Lakeland Yacht & Country Club, the Red Door Wine Market, Parker Street Ministries, and Ashton Events. and our Grand Prize winner: Matthew Wengerd, winner of a 62″ smart TV! Post by Boring Business Systems.